“I awoke one morning and found myself famous,” Byron said. How did I get to be famous, the famous ask—seldom sure of what it all is. There often is an elegant insouciance that comes with greatness. As unorthodox in his academic background as he is in person, Smith managed to attend both college and high school without graduating from either. He became a scientist—an electrical engineer, a technical designer, inventor of electronic devices, and an accomplished amateur astronomer out of sheer grit and intellectual curiosity. In the same resolute manner that has exemplified his style in everything, artist Smith rejected the “confining” classification of artist, thinking himself perhaps more of a scientist than artist. His scientific expertise helped him to make his special contribution to the industry. For instance, some 14 years after Smith was a well-accepted art director with work appearing in every Art Directors Club annual exhibition, he wrote and illustrated a technical manual for the United States Navy. Today, that manual is still required material, carried by every plane in the Navy and Air Force. From the start of his varied career—as a young man in 1925—the combative artist and scientist facets of his personality never allowed him to be content with peer esteem. He felt a deep theoretical responsibility to his profession. 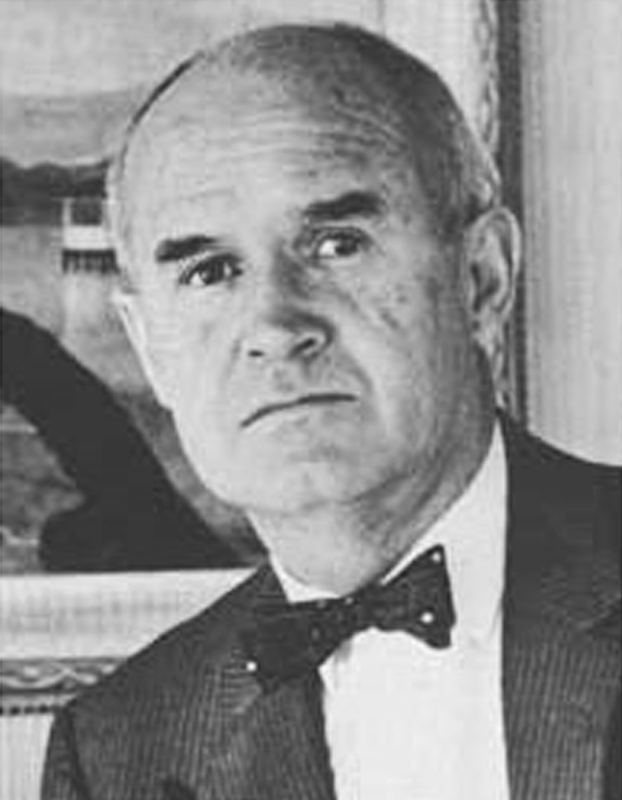 In 1958, Smith organized the landmark ADC third communications conference. Its preemptive theme: creativity. Smith then stated prophetically, “Providing a favorable climate for the creative personality in our culture is one of the most urgent problems in America today. The better we understand the vital process of creative power, the better equipped we will be to realize our potentials as individuals, as corporations, as a nation.” Creativity became the issue soon after. Later Smith edited a successful book reprinting the Conference proceedings, read worldwide. It is still read. Smith was one of the many to have come out of the Midwest to enrich New York’s environs. Originally a writer, he was drawn to avant-garde art, which had a body of sturdy advocates in Chicago around 1928. The self-taught (a watercolor-a-day) Smith turned to art directing the following year. His acceptance in the Chicago Art Director Shows and the winning of four awards was proof that the young man was right on target. By 1932, he had transferred his fortunes and talents to New York, joining the fledgling Kenyon & Eckhardt agency. After 10 years, he moved to D’Arcy, where he brought his own aura of enlightenment to the wartime Coca-Cola campaign. (His “Yes” Poster broke with the past’s stifling patterns and became a classic.) His closeness to contemporary painting enabled him to add a breadth of illustrative concept to a campaign that, in lesser hands, would have been mired in banality. In this period, his reputation well solidified, Smith was elected to the presidency of the New York Art Directors Club. He held the post for two years. Just before the end of the forties, he formed his own agency, enlarged with a hop-scotch of mergers into what became the longest title of the time—Calkins and Holden, Carlock, McClinton and Smith. They did some of the boldest advertising of the day. As an independent and as part of an archipelago of names, Smith produced a memorable body of work. Probably the most dramatic and seminal was a series of posters he directed with George Krikorian for The New York Times that marvelously combated its stuffy image. The ultra-modern series was shown at the Museum of Modern Art in 1952. Smith’s campaigns continued with preemptive ideas—for Boeing (one sold the positiveness of the jet age), for Celanese (a campaign hit financial analysts), for Prudential, The New York Stock Exchange, Rand McNally. Each, with its specific ideological, marketing or industrial problem, demonstrated his skill in selling ideas, often abstract ones. Smith enjoyed the job of interpreting corporations to each other and to the “various publics they wanted to reach.” The duality of his intellect was in perfect consonance with problems broader than selling—broader than the ordinary commodity to consumer line. It was a high time in the development of corporate advertising. In his last years before retiring, Smith wrote and art directed a long campaign for Celanese, the last of which was illustrated by Rene Magritte. Smith has lived in Bermuda with his family since 1970. Retirement seems inappropriate to Paul Smith—who, we have said, does not like spectator sports. Smith is currently involved in making astronomical telescopes, playing the classical guitar, sailing, and painting. In our era of intense specialization, someone of the dimension and breadth of a Paul Smith is, indeed, a “rara avis.” His contribution has been a fusion of independent vision and intellect that has enhanced the role and prestige of the art director. Please note: Content of biography is presented here as it was published in 1973.